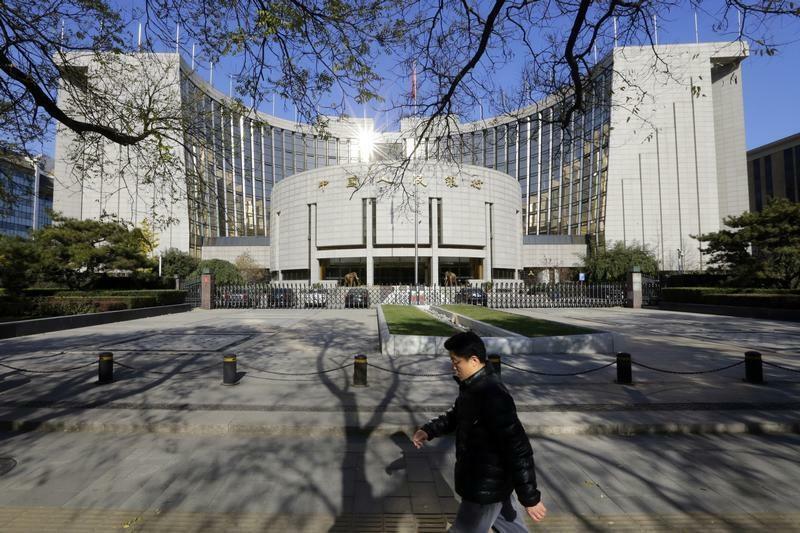 BEIJING (Reuters) - China's central bank will focus on liberalizing bank deposit rates over the next two years, while loosening its grip on the yuan currency to give greater influence to market forces, a vice governor of the People's Bank of China said on Saturday. "Our priority this year and next year is pushing forward reform of bank deposit rates," Yi Gang told an economic forum in Beijing. The central bank will relax control of interest rates on a wide range of fixed-income products and bank deposits, Yi said, adding there would be "substantial progress" ahead. Central bank chief Zhou Xiaochuan said earlier this month deposit rates were likely to be liberalized in one to two years, but government economists and policy advisers told Reuters they believed the central bank was treading cautiously as economic growth slows. Yi also reiterated earlier official remarks that two-way fluctuations in the yuan would become normal. exchange rate will weaken," he said. Yi also reaffirmed the long-standing pledge to make the yuan fully convertible but did not give a timeframe. Last week, the central bank loosened its grip on the yuan by doubling its daily trading band, adding teeth to a promise it would allow market forces to play a greater role in the economy. China's yuan hit a 13-month low on Friday and posted its biggest weekly drop after the central bank stepped up efforts to shake speculative money out of the market, although traders said there were signs the currency may be finding a base. introduce two-way currency moves to deter speculative inflows.